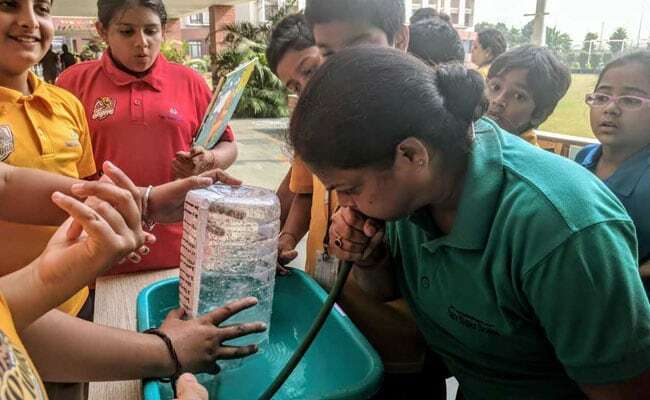 Amidst the reports of Smog in Delhi NCR and the situation being declared as a 'health emergency', grade six and nine students of Shiv Nadar School Noida have created a cost-effective prototype of air filter model and air humidifiers. 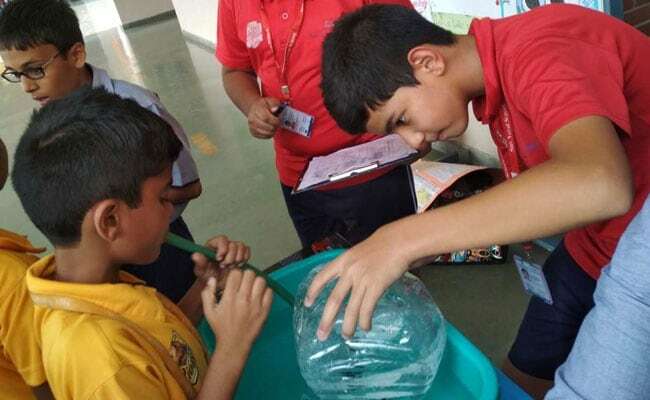 Amidst the reports of Smog in Delhi NCR and the situation being declared as a 'health emergency', grade six and nine students of Shiv Nadar School Noida have created a cost-effective prototype of air filter model and air humidifiers. They have initiated a drive to scientifically address the specific issue of air pollution. They have developed an innovative air quality monitoring mechanism and have conducted lung capacity test to demonstrate the respiratory deterioration caused by pollution. While the lung capacity test was conducted by grade six students, the air purifier model has been developed by grade nine students. The grade six students collected data of over 100 people (before Diwali) and 56 people (after Diwali) and calculated the average result. The lung capacity was found to be very low in comparison to the ideal capacity level. The air filter model developed by the grade nine students is equipped to remove solid pollutants like emission from products like paints, burning fuel, construction rubble as well as allergens like pollens and molds. On the innovative efforts of the students, Ms. Shashi Banerjee, Principal, Shiv Nadar School Noida said, "Air pollution is a threat to the society's health at large and the situation in Delhi NCR is getting worse day by day. Given this, our students and teachers came up with a well-thought out experiment to spread awareness among people about the alarming level of air pollution due to burning of crackers and solutions to help curb and monitor air pollution. This was done by showing the effect of the same on our lungs."